Keyword search volume tells you how many times a particular keyword is searched per month on average. This number makes it easier to identify what questions and how often your potential users are searching for them. The higher the number, the more interesting is the keyword. Search volume is also a key metric that you&apos;ll need for your keyword analysis. Keywords are an essential part of the whole website optimization. You need to use them correctly in content and metadata and according to keywords, you decide how to build a site structure or what new landing pages you create. With Marketing Miner, you can get a volume for a large dataset of keywords. Before we dive into a tutorial, let&apos;s take a look at few possibilities how you can get the keyword search volume and how to use it in practice. Marketing Miner takes the data on the query search volume directly from AdWords, a tool that publicly provides information about the volume of search phrases. Google search volume is displayed as a month to month search volume and this is computed as an average monthly search volume for last 12 months. The benefit of Marketing Miner against AdWords is that it returns accurate data and not only the ranges of a month to month search volume, which has been seen a lot lately within advertisers that don&apos;t spend enough money in AdWords. Our tool also allows you to gather data in bulk as in AdWords, you can get a maximum of 800 keywords at once. An alternative to Adwords can be the Google Trends tool. It is a tool in which a user can find progress of keywords search volume since the year 2004. The curve, however, doesn&apos;t contain exact data on search volume. It only helps determine query trends in the range of 0-100 overtime. Have a look, for example, at a trend of query "SEO" from 2004 until present. Google Trends is useful mainly for long-term comparison of search volumes. Often, it&apos;s used by big brands to determine whether their popularity is growing or decreasing over time. In the same way, they can also see the popularity or the trendiness of their competitors. Google Trends also lets you compare multiple keywords so you can use it when you compare your brand to your competitor. Google Keyword Planner is a tool that is part of AdWords. Besides collecting data for keyword search volume on Google, it can show you also the most similar queries. Read more information about using the tool. Get started by clicking on Create report button and specifying Keywords at the input. Then write or copy the dataset of the keywords for which you want to get the volume. In the Keyword information section, click on Miner Search Volume. Nothing else needs to be set. Click on Get Data to start processing your inputs. Once the report is complete, the processed data will be sent to you by email. Google Search Volume: It determines the search volume of an average monthly search of a query in Google. This is calculated as an average search volume for the last 12 months. AdWords CPC: An estimated price of a click to ads in search results for a given query. [Month]: Search volume of a query for a given month from last year (for the ability to determine trendiness). The most appealing keywords are logically the ones with the highest volume. However, the higher the volume, the higher the competition. You&apos;ll find the competitiveness of the keyword by checking Google CPC column. We can say, in general, that a higher CPC means that the keyword is more competitive. 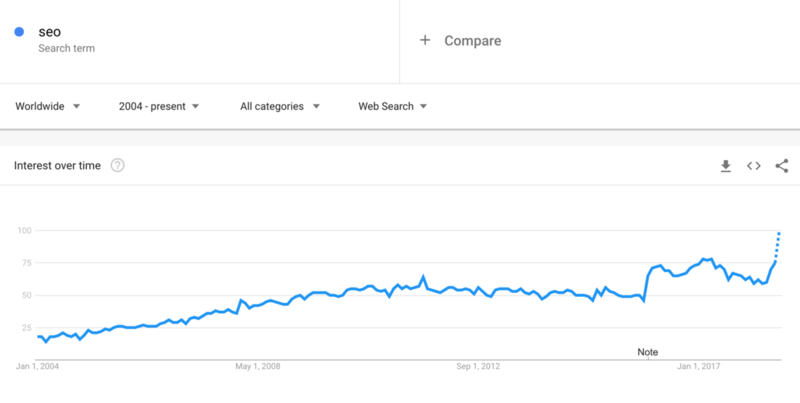 If you work with a product that might be trending according to the season (typically vacations that are practically dead in winter and at the peak in summer), it will also be interesting to check out search volume for particular month.